CELLINK has created one of the world’s first universal Bioinks, today used by many of the world’s most well-reputed research institutions. A Bioink can be mixed with living cells to print functional human tissues and if future research is successful, eventually, complete human organs in so-called 3D-Bioprinters. CELLINK’s universal Bioink shows excellent results and can be used in both CELLINK’s proprietary 3D Bioprinters and in 3D Bioprinters developed by other operators. CELLINK AB is listed at Nasdaq First North with the ticker CLNK. Erik Penser Bank AB, tel: +46 8 463 80 00, is the Company’s Certified Adviser. 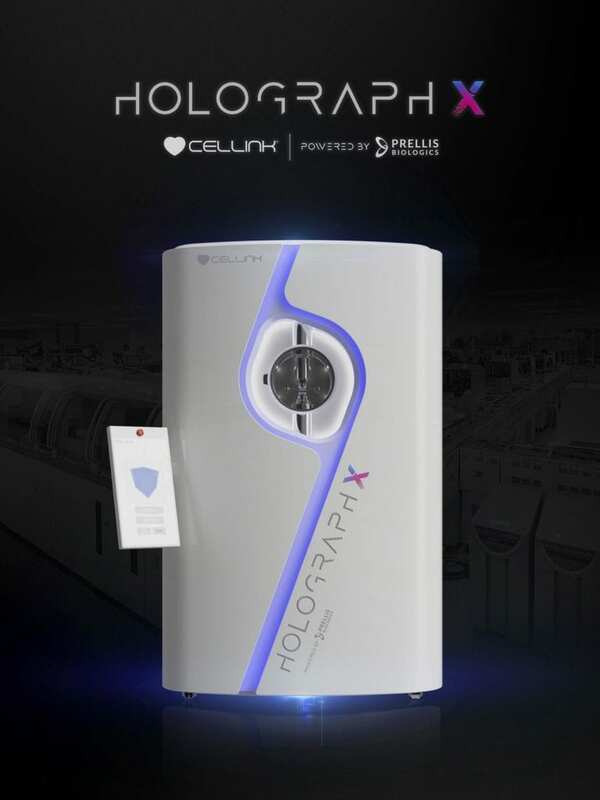 Prellis Biologics, Inc. developed the first holographic printing system able to match and accurately replicate human organ and tissue structures for R&D and organ transplantation. The combined resolution and speed of Prellis Biologics’ printing technology allows for full human organ systems to be created with cell-compatible biomatrices. We are dedicated to solving the global human organ transplant shortage. Prellis Biologics, Inc. was founded in 2016 and is a privately held company based in San Francisco, CA.